Matt Marcus is the latest chef to create his own hot dog for James Coney Island: the Mutt Barkus. The Mutt Barkus and an order of chili-cheese tots to round it out. If you collected Garbage Pail Kids, Pokémon, or baseball cards as a kid, you're familiar with the concept of "collecting them all." 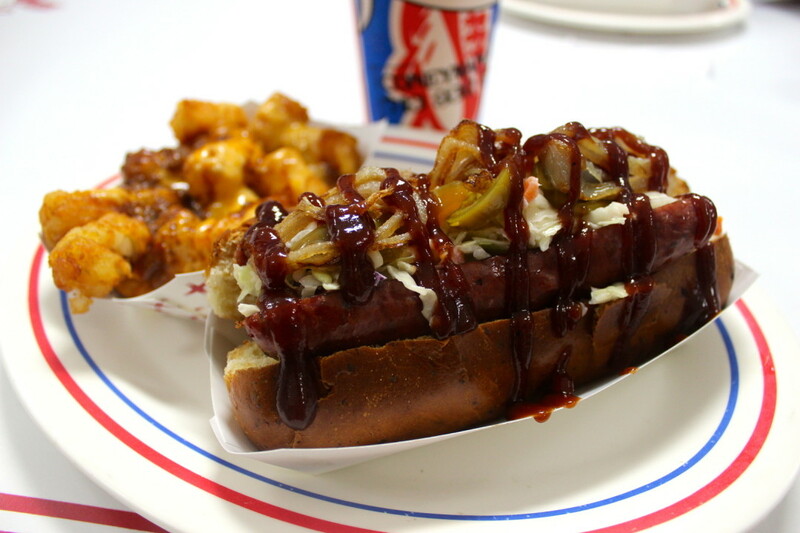 That's the hook—sort of—that James Coney Island is using with its new limited-edition line of chef-designed hot dogs. A new hot dog is released every month, and you've got to catch them all. The chef-designed hot dog series launched in June with a "Huntin' Dog" created by Randy Evans of Haven. That hot dog featured a custom-baked jalapeño-cheese bun and Haven's signature wild boar chili. 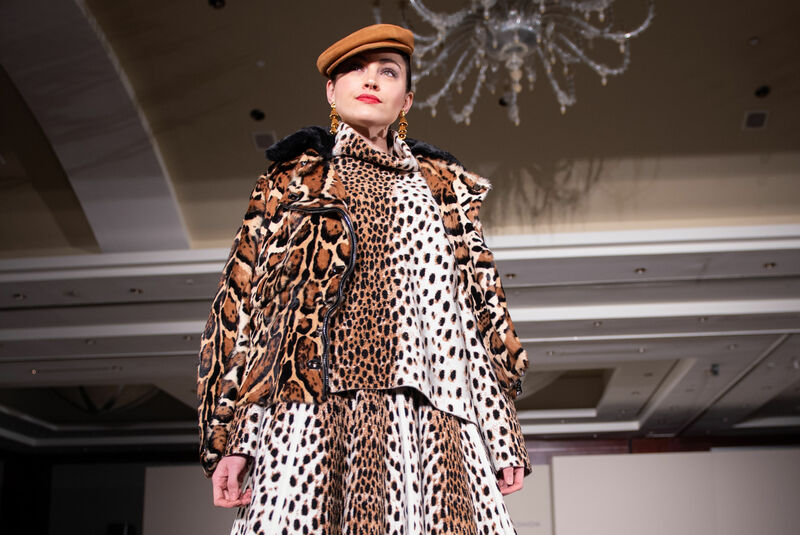 Last month, it was Manubu Horiuchi from Kata Robata, who designed a wild, over-the-top "Kata Ro-dog-a" that featured everything from a panko-breaded, deep-fried hot dog and Japanese curry sauce to scrambled eggs and Kewpie mayonnaise on top. I enjoyed the Kata Ro-dog-a, but had to admit it wasn't for everyone. More to the point, the unwieldy hot dog was great for a few bites—after which point my otherwise adventurous palate cried uncle. 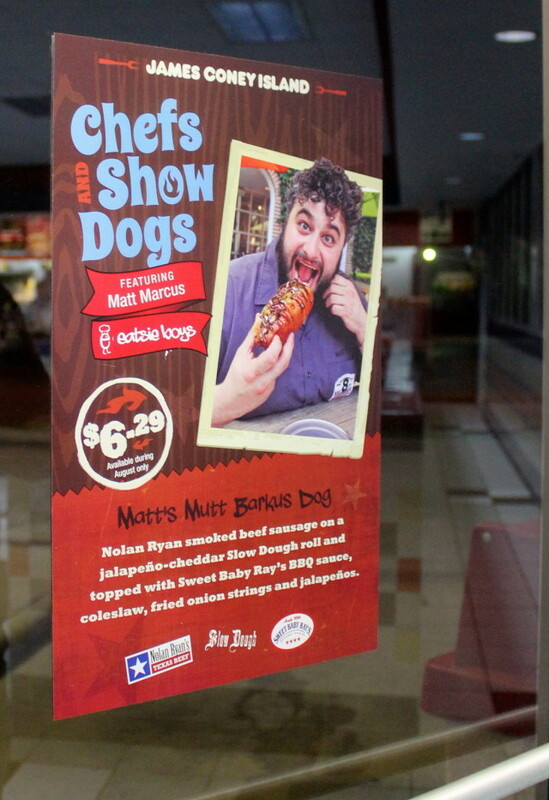 That's a pitfall that the latest chef in the roster, Matt Marcus, has tried to avoid with his own James Coney creation: the Mutt Barkus, available for $6.29 at all JCI locations. 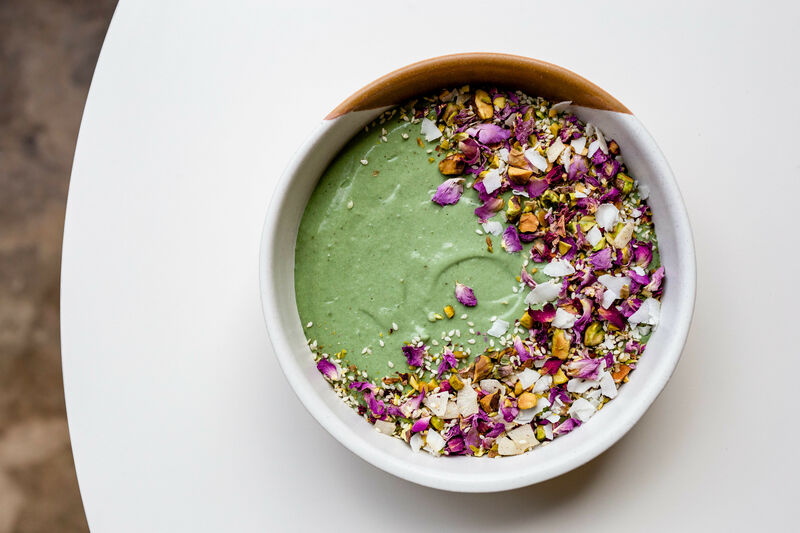 "I wanted the Mutt to be something that repped Texas and something I could eat every day," says Marcus, executive chef and co-owner of Eatsie Boys Cafe. 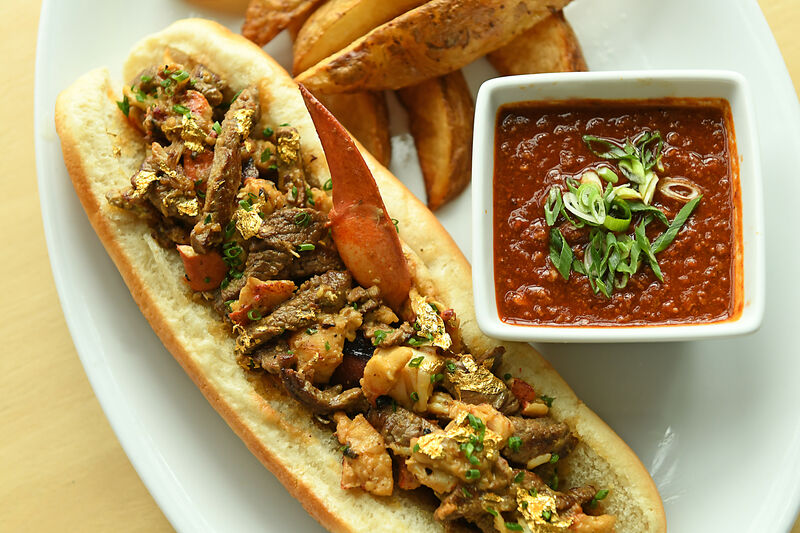 His hot dog features a jalapeño-cheese bun—much like Haven's—but tops it with a Nolan Ryan all-beef hot dog, pickled jalapeños, crispy shallots, barbecue sauce, and what Marcus calls "traditional mayo-based cabbage slaw." 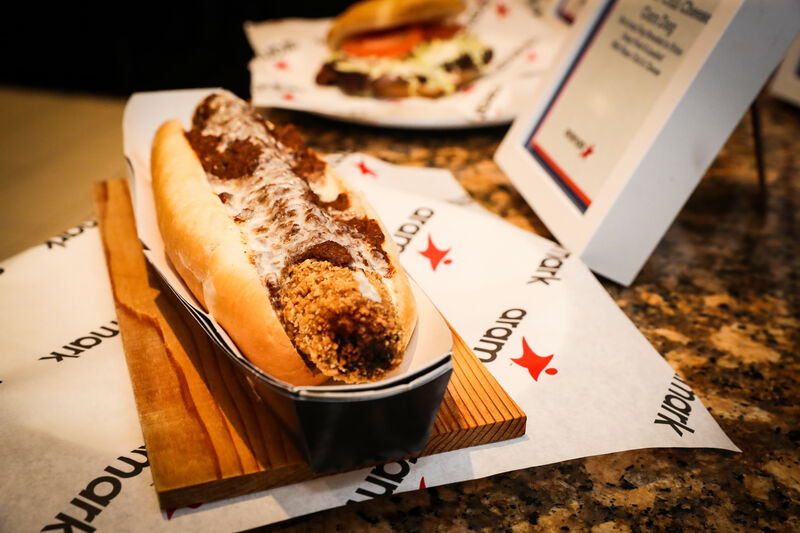 The resulting hot dog is just creative enough, with chef-inspired touches like those crunchy fried shallots or the exuberance of throwing coleslaw on top, while remaining easily edible. It's a hot dog you can go back to again and again, although you only have until August 31 to get a Mutt Barkus of your own. After that, a new chef will step up for September. 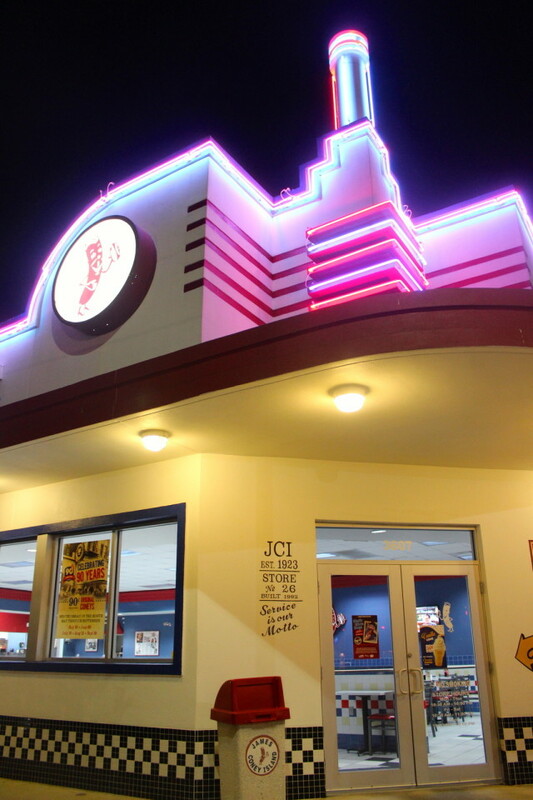 For the duration of August, however, Marcus is simply excited to see his creation on James Coney's menu. "This is truly a dream come true for me," says Marcus, who was able to donate $1,000 to Music Does Good through James Coney as payment for his creation. "I've been crushing coneys and Delaware Punch since forever."